What Exactly is an FSVP? Ask the Expert offers a chance for our readers to submit questions to EAS regarding areas of regulatory confusion. This month’s question is answered by Allen Sayler, Senior Director of Food Consulting Services. If you’d like to submit a question, please use the “contact us” link on our website. Answer: Interesting questions and one thing I have learned during my long regulatory career is that one can never accurately predict when FDA will publish a new regulation, direct their field investigators to intensify their regulatory effort or ramp-up compliance enforcement. In trying to determine the general time period when FDA may start to take more aggressive regulatory action against US-based FSVP Importers, it is important to look at “signs”. One sign is the recent statistics indicating as of mid-June 2018, the number of FSVP-focused inspections the Agency has conducted is nearly equal to the total number for all of the calendar year 2017. In more detail, well over half of the number of FSVP inspections so far have resulted in the issuance of Form 483s, noting that the FSVP Importer has failed to develop an FSVP program including a written hazard analysis plan, an effective and written supplier management program and the correct foreign supplier documentation available for FDA review at the US-based FSVP Importer’s office. Another sign is when the Agency believes it has fully trained most or all of those field investigators so they are equipped to conduct the on-site FSVP investigations. It appears this has been completed or is near completion for the FSVP regulation. Additionally, foodborne illness outbreaks are a key sign, and over the past year, the incidence of foodborne illness from imported foods does not appear to have increased significantly so this “sign” does not appear to be pushing FDA to strengthen FSVP enforcement, although one serious foodborne illness outbreak attributed to imported foods will immediately change this “sign”. All of these together, indicate that the Agency is preparing for more aggressive FSVP enforcement which will likely mean those importers with inadequate or missing FSVP programs will have their products blocked from import. If one had to guess, we anticipate this stronger FSVP enforcement of FDA to start sometime in late 2018 to early 2019 for human foods. How can firms ensure that they have a developed FSVP that meet’s FDA’s expectations? As Sharon Mayl, Senior Advisor for Policy in the Office of Foods and Veterinary Medicine at FDA, said in an interview, “FSVP inspections are based on the review of records, rather than observations of food production. In addition to an onsite visit, FSVP inspections may include a documentation review of materials sent to FDA upon request. The investigator will review these materials for deficiencies. One way to address this is to contract for the services of a qualified consultant to perform the FSVP Qualified Individual responsibilities. This would also solve the second question for US-based FSVP Importers, “How does the FSVP Importer know if their FSVP meets FDA expectation?” The other way is to hire a Qualified Individual that as the credentials identified in the FSVP regulations. Either way, you need a knowledgeable, well trained “Qualified Individual.” EAS has a number of food safety experts available to serve as the Qualified Individual, should you decide to contract out this important responsibility. Senior Director for Dietary Supplements, Dr. Tara Lin Couch was interviewed for a Natural Products Insider podcast on contract manufacturing partnerships. Dr. Couch is one of two EAS presenters for the upcoming SupplySide West trade show taking place in Las Vegas. Stay tuned for more information on EAS presentations by Dr. Couch and EAS Independent Consultant Heather Fairman. EAS President and COO, Dean Cirotta and Senior Director for Dietary Supplements and Tobacco Services, Tara Lin Couch, Ph.D. will present a free webinar on October 9, 2018, at 1:00 PM Eastern on Preparing for the Tobacco Product Manufacturing Practices Rule (TPMPs). This webinar is hosted in cooperation with the Tobacco Merchants Association. Since CTP Director, Mitch Zeller’s announcement at the 2018 TMA Annual Meeting that the Agency is prioritizing a TPMPs, the industry has been speculating regarding what these rules may encompass. Join us October 9th for this informative webinar, which will provide an overview of expectations for the TPMP rule and how you can begin assessing your current quality systems. Our expert trainers will provide a detailed approach to complicated and often confusing challenges enabling take-aways that can be readily applied to improve compliance. Training seminars can also be offered in-house and customized to specific needs. EAS Consulting Group is proud to be an invited speaker at the upcoming CPhI North America, April 24-26, 2018 in Philadelphia. You can find EAS at exhibit booth 856 where Senior Director for Pharmaceuticals and Medical Devices, Bryan J. Coleman and Regulatory Specialist, Victoria Pankovich will be available to discuss questions and concerns surrounding your business. We also invite you to attend Bryan’s session as part of the CPhI technical program on Regulatory Considerations, Strategy and Best Practices for Choosing a CMO which will be Tuesday, April 24th at 3:30 pm. 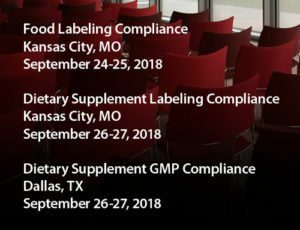 Andrea Yablunosky will be speaking on Food Labeling: Nutrient Content, Health, and Other Claims on September 24, 2018 at the upcoming FDLI Introduction to Food Law and Regulation which will be held in Washington, D.C. She’ll discuss a variety of claims including Natural, Organic and Fresh as well as the effects of state law litigation on use of Health Claims. Priya Jambhekar will be presenting the session on Regulations of Biologics Manufacturing on October 4, 2018, at the FDLI Introduction to Biologics and Biosimilars, taking place in Washington, D.C. She’ll discuss standards of inspections, the scope of pre-approval inspections as well as responding to FDA 483 forms and warning letters. Independent Consultant Mehrdad Tajkarimi and Senior Director Allen Sayler co-wrote an article for Natural Products Insider discussing Cause, Effect and Impact of RTE Operations on complying with FDA’s draft Listeria guidance. Food manufacturers are expected to operate within an entirely new scheme of “design out” of potential entry and harborage of Listeria, develop “hygienic zoning”, enhance monitoring and record keeping for cleaning and sanitizing a food processing facility and more. As FDA inspectors use draft FDA guidance for Control of Listeria Monocytogenes in Ready to Eat Foods during routine and targeted investigations, these new criteria, as well as others found in the guidance, will become the new benchmark of safety against Listeria in RTE operations. Welcome to the EAS-e-News, a free newsletter for FDA-regulated industries. I am very pleased to report that the new EAS website, a project, that we have been working on for some time, is now live. We invite you to visit it at the same URL as our previous website – easconsultinggroup.com. There are a number of new features here which I am sure you will agree, provide for easier navigation, improved access to our and the Agency’s information as well as a more attractive design. For example, those who work in the food industry will find our short videos which highlight just some of EAS services are easily accessible on the main Food Services tab. In addition, a newly created tab called Resources includes the latest press releases, recalls and enforcement reports from the Agency as well as valuable regulatory information authored by EAS staff and independent consultants and published in industry trade journals as well as current and past issues of what I hope is your favorite go-to regulatory newsletter, EAS-e-News. Please visit our new website! I hope you find this new layout to be easy to navigate and a great resource of information! Our issue of the month article written by Independent Consultant James Evans covers Mutual Recognition Agreements (MRAs). Recently annexed in 2016, these MRAs between EU countries and the U.S. allow for better distribution of resources in cases where an EU country’s facility inspection standards are equitable to FDA’s. In such cases, more focus can be applied to those facilities that warrant a closer eye. These MRAs by no means suggest that Quality and GMP vigilance can be lessened in those facilities operating in countries with MRAs. EAS offers a thorough inspection and audit program specific to the requirements of pharmaceuticals and all FDA regulated industries. These audits, in some cases, are offered as “mock-FDA” inspections assist companies in understanding not only their responsibilities under the law but, also how they can improve areas of need to create a robust operational structure. Our FSMA Perspective discusses the FSMA Preventive Controls, which are now beginning to see enforcement actions taken by the Agency. It is always the right time to assess compliance with these important safety protocols which aim to eliminate potential sources of contamination before they have a chance to enter into processing and production facilities. This is good for public health, operational efficiency, required by law and of course, the right thing to do. Our Ask the Expert includes a question from one of our readers that sees a real challenge in the food industry about how to comply with the FSVP rules under FSMA. FDA is rapidly and significantly ramping up their inspections of FSVP requirements and finding that in many cases firms are failing to develop a foreign supplier verification program. This month’s question gets to the heart of the challenge – what exactly is an FSVP? We introduce new consultants Norris Alderson, Ph.D., Carl Custer, John Sawyer, Randy White and John Ziobro. EAS continues to recruit the best in regulatory talent to join our team of independent consultants enabling us to maintain our reputation as a leading consulting firm for FDA regulated industries. 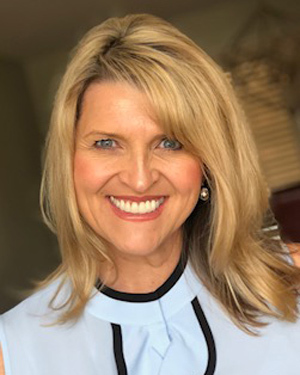 In addition to our new consultants, we welcome Jodi Burns, our new Office Manager and the voice behind the phones when calling the EAS home office as well as Shachi Shah, our regulatory intern. I invite you to read more about their backgrounds in the Who’s Who section of this issue. Thank you all for your interest in EAS and our EAS-e-News. I invite you to share any feedback on this issue or our website. As always, please feel free to share this newsletter with your colleagues. Norris Alderson is an expert in the approval process for veterinary products and assists clients with understanding FDA guidance for data requirements for animal drugs to include additives for animal feeds and process for review by FDA. He also helps clients understand processes for interacting with FDA in the development of products and has experience in managing and understanding functions of institutional review boards including the National Nanotechnology Coordination Office. Prior to consulting, Dr. Alderson spent his career at FDA, most recently as the Associate Commissioner for Science and the Director of the Office of Science and Health Coordination. 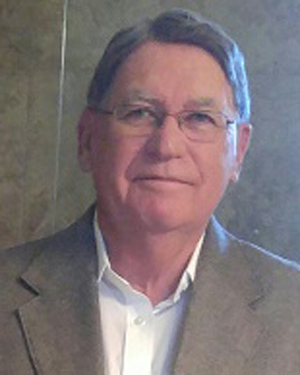 Carl Custer is an expert in HACCP, microbiology of dried meat products and special processes for retail foods and spent his career at USDA/FSIS investigating foodborne outbreaks. He consults in problem-solving on issues including contamination by Listeria spp., Salmonella, and foreign materials and serves as an expert witness for legal firms on spoilage factors. John Sawyer is a regulatory and quality professional with over 30 years of experience in the medical device, electronic and aerospace industries. He is a Senior Member of ASQ and a registered Lead Quality Management Systems Auditor with the International Register of Certificated Auditors out of London. His current work focuses on providing FDA QSR, ISO-13485-2016, EU MDD, EU MDR, CMDCAS and other regulatory/quality consulting services. 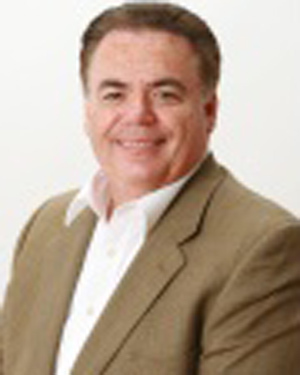 Randy White is a consultant for medical devices, pharmaceuticals, biologics, nutritional supplements. 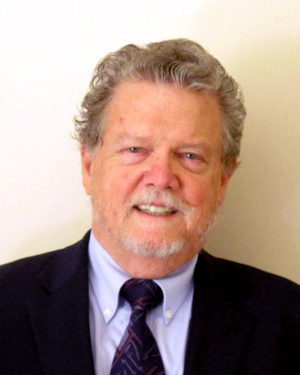 Prior to consulting he worked for WuXi AppTec and Baxter Healthcare Corporation overseeing the performance of toxicology and safety studies to include testing strategy, study design, and animal model development, as well as preparation of toxicology reviews for regulatory submissions and toxicity/risk assessments, study director for GLP studies. He has a Ph.D. in Animal Science Nutrition from Oregon State University. John Ziobro is an experienced professional in the medical device industry. 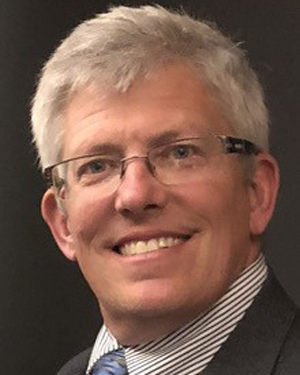 His expertise includes engineering and new product development from concept-through-completion, design controls, design traceability, technical files including 510(k) submissions, device history records, and design dossiers. 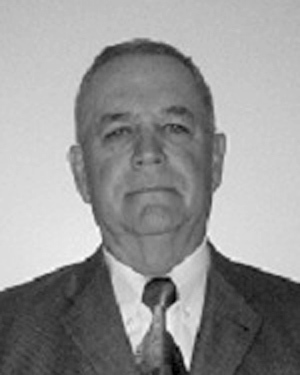 John’s background includes vast experience in electromechanical design, verification and validation; component selection and vendor audits. With the recent issuance of a Warning Letter citing violations of Part 117 subpart C (preventive controls), implementation of FDA’s Preventive Controls rule takes its next step – FDA will cite food facilities for preventive control failures. Everyone paying any attention to FSMA knew this would happen, and as long as it happens to someone else, it can be a low pain, high gain learning opportunity. For example, we now know FDA objects to food facilities that make a ready to eat products, have multiple positive Salmonella results from an environmental sampling program, and yet do not consider Salmonella a hazard in need of one or more controls as part of a food safety plan. Equally, FDA objects to having corrective actions that are not implemented when a problem arises for which the corrective action was planned. And failing to verify that sanitation procedures are properly performed is worthy of citation in a Warning Letter. No matter how much FDA educates, theoretical agency definitions of unacceptable conditions or practices are no substitute for concrete examples. These first few are obvious, but we can expect more, and more finely detailed, citations in the future. Current Good Manufacturing Practice, Hazard Analysis, and Risk-Based Preventive Controls for Human Foods and Animal Foods lays out expectations for the prevention of contaminated foods in all areas of processing, packing, holding and transporting. Food facilities must have plans in place that address hazards reasonably likely to occur in the absence of one or more controls. As noted in the recent Warning Letter, implementation of controls, verification, and monitoring can be lacking. This challenges many companies because writing written procedures is one thing, properly implementing them is another. Practicing accountability from start to completion is often overlooked, leaving many facility managers ill prepared just when and where they need it most. Performing practiced implementation for when things go awry is one critical way of preparing for the inevitable and doing so with measured success. Firms are busy and time is money. When a production line is down, a product is not being made, customer demand is not met and earnings suffer. In maximizing efficiency, the devil in the details can get lost and we miss steps. Some missed steps may even seem innocuous at the time, after all – we are in a hurry, but they compound each other leading to a failure. 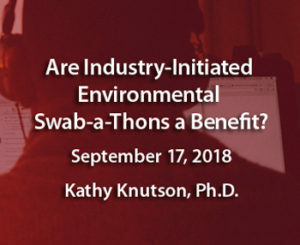 Let’s take the case of the requirement for pathogen swabbing, (shameless plug – EAS is offering a complimentary webinar on swabbing for environmental pathogens September 21). FDA requires that facilities producing foods that have been associated with outbreaks of foodborne illness or pathogen contamination, or produce ready-to-eat foods for that does not include a kill step after packaging, establish environmental sampling programs. When there is an identified environmental pathogen hazard requiring a preventive control, environmental monitoring is required at regular intervals. At some point, there will be a positive result. If you never find any positives, FDA may suggest your sampling program is not robust enough. As you have read before in this column, no matter how comprehensive your sanitizing procedures, at some point you’ll have a result that requires further assessment, cleaning, evaluation of the previous production, and whether your food safety plan needs revision. When that positive result first comes to light – what next? This is when copies of Wanting Letters are useful. Comparing what you have to what FDA found inadequate can reassure you, or point to things that need attention. Another resource that is becoming more useful is FDA’s Technical Assistance Network (TAN). Begun in September 2015, the TAN responds to inquiries related to all FSMA rules. As of May 2018. they have received 9,030 inquiries, indicating at least two things. First, this is an industry that largely wants to do the right thing, and second, it is an industry that needs specific answers to many varied specific questions. The TAN recently published answers to 172 frequently asked questions (https://www.fda.gov/food/guidanceregulation/fsma/ucm247559.htm). There are insights into FDA thinking to be found among the answers. Be mindful that a similar question does not mean FDA would give a similar answer. Details matter. Each food facility must tailor its plan to individual facility operations. The expectations behind FSMA and Preventive Controls are laid out in great detail and the Preventive Controls requirements are the hallmark of food safety. Look broadly at first, then focus in. Flow-charts can be helpful with “if-then” scenarios. If a positive result is found, then what? Which zones of the production area should be included in these tests and once the positive result is confirmed, then what? Product recall? Who should the results be reported to? FSMA spells out that these scenarios must be developed and documented so that when disaster strikes a haphazard plan isn’t created in a moment of panic. Now comes the often overlooked part: Once the plan is made, the real work begins. Practice. It’s easy to spell things out on paper (or digitally) but how practical are the steps? Does everyone understand the process or is there room for interpretation which can lead to confusion and those missteps we spoke of earlier? Much like the requirement for FSMA training which must be in a language that each employee can understand, the same true for PC steps. Make sure all, no matter who is in charge at every step of the process, understands and can perform those activities expected of them. Lastly, ask for help when needed. 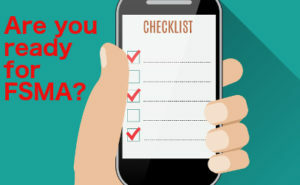 Whether it is through the FDA and their TAN, FSMA training videos and fact sheets or through reputable consulting firms such as EAS, your ability to follow PC rules depend on your complete understanding of detailed, documented steps and practicing these steps so that they are seamlessly executed when needed. Shachi Shah is an intern at EAS and a graduate from the Georgetown University BioBusiness Master’s Program. Her coursework focused on bioinformatics, Molecular Medicine, cGMPs. 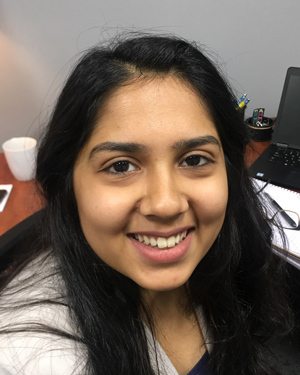 Shachi will begin her career in the fall when she begins working at a biotechnology company that develops vaccines protective against malaria. EAS authored an article discussing options for dietary supplement ingredient submissions – New Dietary Ingredient (NDIs) and Generally Recognized as Safe (GRAS) on August 8, 2018, of the AHPA Report (AHPA membership required to view). Botanical chemicals may be isolated and also sold as dietary supplements, and in some cases, FDA’s interpretation of botanical and plant parts would qualify them for an NDI submission. In some cases, GRAS is a more appropriate submission for this unique category of botanicals. EAS can discuss your particular situation and help you to determine the right path for your product. EAS Webinar – Don’t Wait for FDA, Conduct Your Own Swab-a-Thon! EAS Independent Consultant, Kathy Knutson, Ph.D. will host a complimentary webinar on the importance of Environmental Monitoring on September 17, 2018, at 11:00 PM Eastern. Given the hot-button issue of pathogen contamination, even with the best of safety controls, it is imperative that companies have a robust environmental monitoring program that includes vigilant and regular testing. Join Dr. Knutson for this complimentary webinar! James Evans has more than 30 years of experience as an FDA auditor and specializes in pharmaceuticals, medical devices, biologics, and biotechnology. His expertise includes pharmaceutical inspections, antibiotics, radiopharmaceuticals, parenteral, sterilization, clinical/non-clinical (GLP) laboratory studies, and computer systems validation and pharmacology. 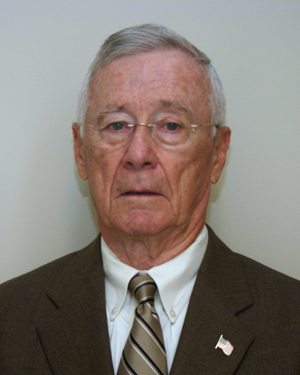 In addition, he is well-versed in HACCP inspections for low-acid canned food and infant food manufacturing operations. FDA has been implementing the Safety and Innovation Act since it was passed by Congress in 2012. The Act requires FDA to establish Mutual Recognition Agreements (MRAs) which are agreements between two or more countries to recognize a specific process or procedure of the other country. The FDA’s MRA was preceded by the 1998 signing of the U.S. and the EU Agreement on Mutual Recognition which included a Pharmaceutical Annex providing for recognition of each other’s GMP inspections. Unfortunately, this Annex was never fully implemented. Effective in 2017, the amended Sectoral Annex to the 1998 U.S.-EU MRA allowed for inspection reports and other related information obtained during drug manufacturing facility inspections, conducted by either an EU inspectorate or by FDA, to help determine whether a facility is manufacturing high-quality drugs. If more information is necessary beyond this assessment, FDA or the EU can then require additional inspections or take other action in the interest of protecting the public. The 2017 Annex provides for greater efficiency in the drug inspection process, eliminating the redundancies of duplicate facility inspections, particularly those with a strong record of compliance. By utilizing each other’s inspection reports and related information, the FDA and EU are able to reallocate resources towards inspection of drug manufacturing facilities with potentially higher public health risks across the globe, benefiting patients and reducing adverse public health outcomes. FDA’s determination as to whether an MRA is appropriate is made first via an assessment of internal audits in a particular EU country to ensure that their inspectorate is functioning properly and not deviating in any significant way from EU law and guidance. These audits include observations of drug manufacturing facility inspections conducted by the audited inspectorates and utilize the 78 indicators based on the Pharmaceutical Inspection Co-operation Scheme (PIC/S) compliance assessment program with an EU addendum. PIC/S is an internationally recognized cooperative arrangement between 49 regulatory authorities, including the FDA. The goal of PIC/S is to harmonize inspection procedures worldwide and develop common standards in the field of good manufacturing practices. In addition, FDA considers any conflict-of-interest policies, specific legislation related to good manufacturing practices, samples of inspection reports, inspector training records, inventory of drug manufacturing facilities, surveillance program, and numerous standard operating procedures to evaluate a pharmaceutical inspectors’ credentials as part of the capability assessment of each EU country. In this way, FDA can ascertain whether the inspection authorities are trained and qualified and have the skills and knowledge to identify manufacturing practices that may lead to patient harm. Maintenance provisions are also included in the Annex to ensure that each capable country continues to meet FDA requirements. Thanks to this MRA, there is a greater ability of the Agency to appropriately allocate its resources to focus on those facilities where initial audits raise red flags that warrant further inspection, either by continual deficiencies in inspection findings by a country’s own internal audit system or by adverse events reports or other means. One of those means is the “Drug Quality Sampling and Testing (DQST)- Human Drugs Compliance Program 7356.008”, which is a surveillance program that samples and tests pharmaceutical products manufactured both in the U.S. and foreign countries. Surveillance under the DQST is prompted in part by recommendations from CDER and ORA headquarters and FDA district offices based on their intelligence and reported consumer complaints. The goal of the DQST compliance program is to protect the public health by minimizing exposure to non-compliant and/or poor-quality drugs. Testing is undertaken on finished dosage forms, APIs, and excipients and the samples chosen are based on risk-based selection criteria and a risk-based model. Due to the globalization of pharmaceutical products increasing consumer risk, the surveilled domestic and international products have expanded under this program to include prescription and OTCs, compounded drugs, drug products with approved an NDA or ANDA as well as unapproved drug products and others. This program, in combination with other quality assurance compliance programs, is an integral part of the Agency’s overall post-marketing surveillance strategy. Fortunately, the majority of drugs FDA independently tests meet their specifications. From 2003 to 2013, FDA tested nearly 4,000 of drug samples. During that decade, FDA laboratories found that 1.1% of the drug products analyzed deviated from acceptable standards. FDA takes its oversight of the domestic and foreign pharmaceutical program very seriously as any safety deviations in these products could have a significant impact on public health. Companies may wish to proactively perform quality assessments and gain an understanding of their current compliance status through independent third-parties such as qualified consulting firms who offer expertise in pharmaceuticals conducted by persons with a strong background in Agency regulations and safety standards. Once a needs assessment has been conducted, a proactive remediation plan of deficiencies can begin. More information on FDA’s pharmaceutical surveillance programs can be found on the Agency’s website and we invite you to view EAS-produced on-demand webinars focusing on a variety of GMP tools on the EAS website. Should EAS be of service to your firm either in an assessment of compliance status or to assist with an FDA announced facility inspection, please contact Bryan J. Coleman, Senior Director of Pharmaceuticals and Medical Devices. Senior Director for Food Consulting Services, Allen Sayler, has written an article for Food Safety Tech on FDA Fast-Track Unified and Listing Systems (FURLS) program and whether it is expediting or impeding access to overseas markets. “The FDA recently released a notification that their FURLS system has been updated to include an Export Listing Module (ELM),” he says. This allows U.S. food manufacturers to electronically submit, and for FDA to receive and process requests for inclusion on the export lists for FDA-regulated food products and present these lists to countries that require them, whether a company is participating in this program or is looking for new markets outside the U.S.
We had an overwhelming response to our recent webinar “Quality Systems for the Cannabis Industry” presented by Tara Lin Couch, Ph.D., Senior Director for Dietary Supplement and Tobacco Services. 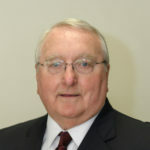 Independent Consultant, Peter Saxon, presented a webinar for foreign firms to understand how to manage FDA inspections. Also, April Kates presented a webinar on Temporary Marketing Permits Opportunity and pitfalls of the Specialized FDA Application. All recordings are available on the EAS website under the On-Demand Webinars tab and are available for viewing. Mehrdad Tajkarimi discusses the importance of food safety training as a solution to FSMA challenges in Part One of a three-part series for Food Safety Magazine. “There are several challenges ahead for proper food safety training at all levels,” he says. “These challenges include, but are not limited to, numbers of training hours, type, content, and facilitation procedures.” The types and applications of training have dramatic impacts on food safety management systems, improvements in FSMA compliance, and employee productivity. Robert Lavieri authored a guest column in Food Safety News on the important and often overlooked “human element” to food safety planning and programs. Companies spend much time and effort designing and cross-checking procedures to protect against food safety issues, but the human element or employee training and assurance of appropriate training to the job function is equally important. Make sure you “test, verify and regularly evaluate and hold accountable the human elements as you do your equipment i.e. Process Control, Automatic Sampling, CIP, Calibrations, etc,” he says. The FDA recently sent a reminder email to registered drug establishments regarding the Drug Supply Chain Security Act’s (DSCSA) impending requirements. Production of a prescription drug that meets the definition of “product” (see section 581(13) of the FD&C Act noted below), now requires manufacturers to affix or imprint a product identifier to each package and homogenous case of a product intended to be introduced into commerce by November 28, 2018. A product identifier should include the product’s NDC, unique serial number, lot number and expiration date (see section 581(14) of the FD7C Act) in human- and machine-readable formats. The machine-readable format shall be a 2-dimensional (2D) data matrix barcode when affixed to or imprinted on a package or a linear or 2D data matrix barcode when affixed to or imprinted onto a homogeneous case of the product (see section 582(a)(9) of the FD&C Act). More information about the DSCSA can be found on FDA’s website. We would like to remind our clients, that beginning 1 October 2018, VMF sponsors will be required to use eSubmitter to submit all animal drug applications to the agency. The FDA has been hosting webinars to teach interested parties on the process. You can download the eSubmitter program from the FDA website and find recordings of the instructional webinars, when available, here. Manufacturers of sunscreen products have an opportunity to offer FDA comments on SPF testing and drug facts labeling through 18 October 2018, please see instructions at the Federal Register notice docket# FDA-2011-N-0449. On 10 August 2018, the FDA published a revision to the Manual of Policies and Procedures (MAPP 5240.5), ANDA Suitability Petitions – link will bring you to the document for review. The FDA has announced via the Federal Register Vol 83, No. 163, their determination that Danocrine (danazol) capsules, 50 mg, 100 mg and 200 mg were not withdrawn from sale for reasons of safety or effectiveness, except with respect to the indication of fibrocystic breast disease that was withdrawn for reasons of safety or effectiveness. As a result, the FDA will not be suspending approval of ANDAs that refer to this drug product as long as the applications have removed the indication for fibrocystic breast disease. This determination will also allow the FDA to continue to approve ANDAs that refer to this drug as long as they meet relevant legal and regulatory requirements. Per the FDA Reauthorization Act of 2017, the FDA has identified a list of Medical Device accessories proposed to be classified as class I, and distinct from other devices. The FDA welcomes public comment until 16 October 2018 on their proposal. Full details and information on how to comment can be found by following this link to the Federal Register notification. The FDA has announced several public meetings that may be of interest to our readers, please see details below. The FDA will hold a public hearing with an opportunity for public comment on the future format of the National Drug Code (NDC). With the availability of 5-digit labeler codes nearing capacity, the FDA is open to input from stakeholders on their perspectives regarding the impact of any future changes made to the length and format of the NDC. The hearing is to be held 5 November 2018 from 8:30 am to 5:00 pm EST. Registration for online attendance is available. If you wish to attend in person or present at the public hearing, you must register no later than 15 October 2018. Further information and a registration link can be found here. Public Meeting of the Pharmaceutical Science and Clinical Pharmacology Advisory Committee will be held 20 September 2018, at FDA’s White Oak Campus, in Silver Spring, MD. The FDA plans to provide a live webcast of this meeting. The morning session will focus on the modernization of assessing drug applications through a Knowledge-Aided Assessment and Structured Application (KASA) initiative. The afternoon session will focus on in-vitro/in-vivo relationship standards and will seek input on establishing patient-focused dissolution standards for oral solid modified-release dosage forms. Complete details can be found at the Federal Register Vol. 83, No. 158. There will be a public meeting entitled “Standardized Data for Pharmaceutical Quality / Chemistry Manufacturing and Control (PQ/CMC)” on 19 October 2018 from 9 am to 4 pm EDT. The purpose is to provide members of the pharmaceutical industry, and other interested parties, an opportunity to discuss with FDA and provide input on related topics and issues. Please see the Federal Register Notice for complete details. Ask the Expert: What Exactly is an FSVP?